No one is going to feel bad for the Panthers, who graduated a host of starters from last year’s team, including HockomockSports.com Player of the Year Victoria Stowell. No one will feel bad because Franklin rarely has to rebuild; it just reloads. One of the reasons for confidence this fall is Atkinson, who showed flashes of her potential as a freshman. A quick winger, Atkinson became more accustomed to the physical rigors of the Hockomock as the season progressed and by the tournament was a regular off the Franklin bench. This season could be a breakout year. Atkinson has the skills to beat defenders and to serve a cross into a dangerous area. She also has the pace to create opportunities for herself and a good finishing touch for a young player. For the first time in a while, Franklin is not the favorite to win the league, but with Atkinson and others back the Panthers should not slip too much. There should be no surprise that the reigning Hockomock MVP would make this list. Calabraro has been a standout for three seasons for the Tigers and she will be the focal point of a deep squad that is projected to not only be a favorite for the Kelley-Rex title but also challenge the top teams in the state. Calabraro has the combination of a great first touch, strength in the air and on the ball, and the versatility to play up front as the target forward or step back into the midfield and be the playmaker. She is a player that everyone has to game plan for and the player who every OA attack flows through, evidenced by her league-high 24 goals last year. The only thing that Calabraro has not yet done at OA is lead the Tigers on a tournament run and this year’s team has the potential to make that happen. Canton has continued to improve over the tenure of head coach Kate Howarth. The Bulldogs have figured out what the coach is looking for and the passing style that Howarth prefers is bolstered by having Duserick pulling the strings in the midfield. Not the biggest presence on the pitch, Duserick has excelled through good positioning, awareness of where her teammates are, and the ability to pick out the right pass over any distance. Like her older sisters Hailee and Brianna, Duserick can also provide the occasional 40-yard shot into the top corner. When the Bulldogs lose possession, Duserick is right in the mix to get it back and is not afraid to put in a challenge or get “stuck in.” Canton has been on the brink of a league title in each of the past two seasons and will be expecting to be in the thick of the race again this year, especially with Duserick making things tick in midfield. The Eagles have a new coach this season and return a load of talented players who could help bring Sharon back to the postseason. One of those players is Filipkowski. 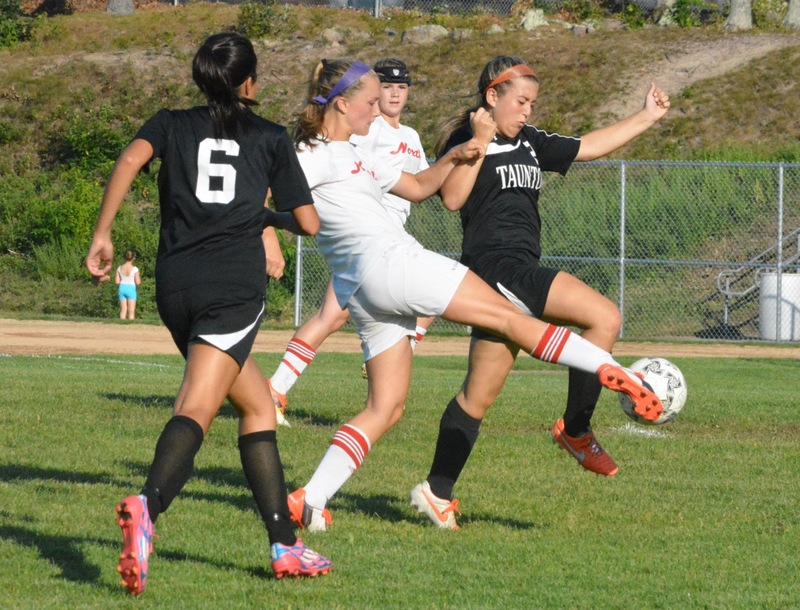 The talented midfielder is in her third year on varsity and has been courted by Div. 1 NCAA programs interested in taking her silky ball skills to the next level. Filipkowski has quick feet and the moves to shake any defender in the open field and she also has a good understanding of how to find the open spaces for teammates to find her. The Eagles are not generally a free-scoring team but when they are creating scoring opportunities Filipkowski is usually in the middle of them. If Filipkowski can find open spaces and create for her teammates, the Eagles could be a surprise team in the balanced Davenport division. Guertin, who committed to the University of Rhode Island in the last week, is the reigning HockomockSports.com Underclassman of the Year after leading the league with 31 points (19 goals and 12 assists) and helping North Attleboro make a surprising run to the Div. 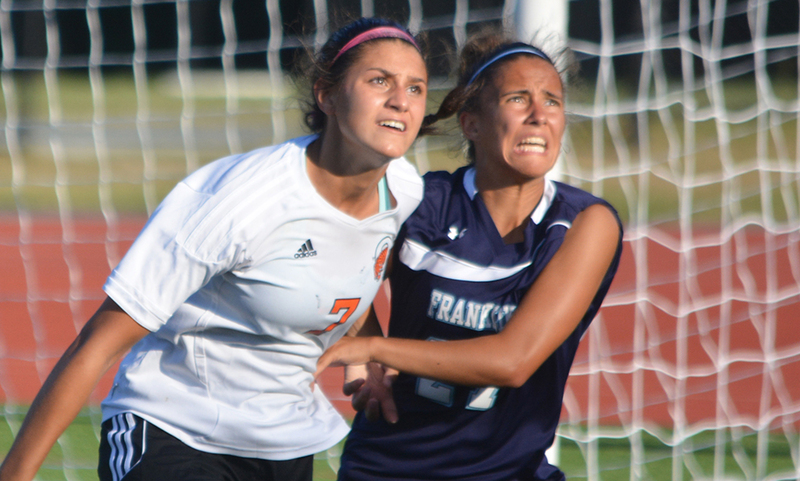 1 South semifinal at the expense of rivals Franklin and Oliver Ames. Boasting quick feet and ball skills that are among the best in the league, Guertin was able to slide by even the best defenders in the league and find openings for a look at goal. Without her sister Grace in the midfield and Hana Caster on her left to provide service, Guertin will have to rely on her ability to create space and her speed on the ball to open up defenses that will be primed to stop her, as North looks to make some noise in its first year in the Davenport division. Goal scorers always get the attention during the season, but coaches will always say that defense is the foundation on which a strong team is built. Last year, Labonte and Chazan had breakout seasons in the heart of two of the top defenses in the league, while Corcoran fought to keep the shorthanded Warriors in games. Labonte was moved back to sweeper after spending her first season floating between midfield and attack and it solidified the middle of the North defense. She coupled tenacity with speed and covered everything at the back, which was highlighted in the shutout of Franklin in the tournament. 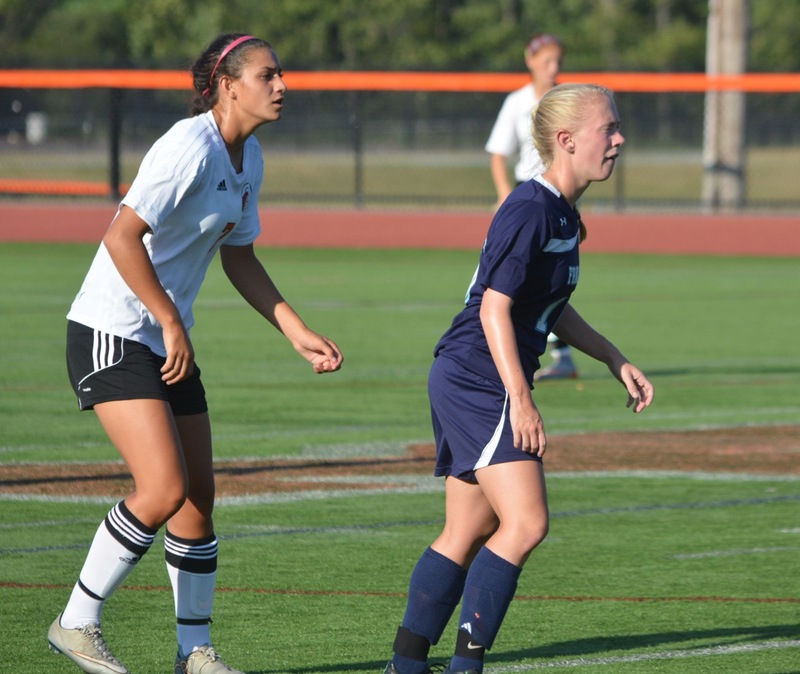 Chazan was moved into the starting lineup early in the season and added a level of composure at the back with her reading of the game and her ability to start the Tigers counter attack with an incisive pass. Showing poise that belied her lack of varsity experience, Chazan quickly became one of the top defenders in the league. Head coach Gary Pichel calls Corcoran the “heart and soul” of the KP defense. She has been tested the past two seasons for the Warriors with injuries causing KP to go deep into its bench and forcing KP to do a lot of defending. Corcoran is an aggressive defender who is not afraid of the physical part of the game and also has the speed to help her fellow defenders. The Quinnipiac University-commit is another no-brainer for this list after another stellar season with the Hornets. 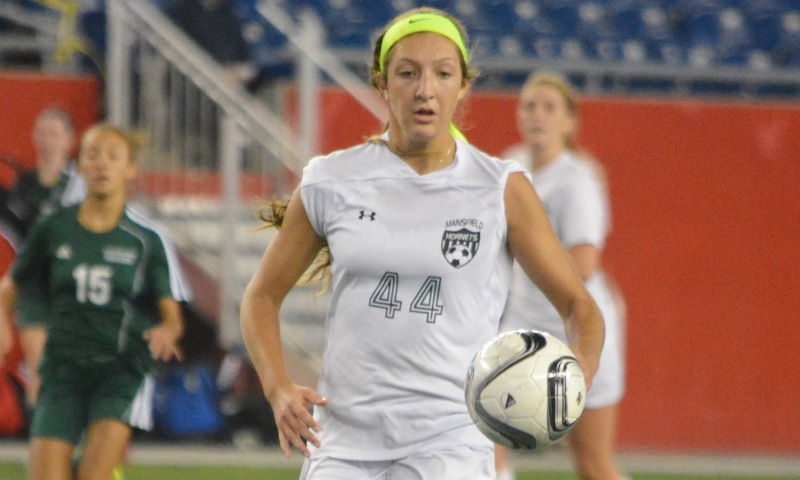 Reiter stands out on the pitch not only because of her height but because of the skills that she demonstrates even as she moves from central defense to midfield to forward, sometimes in the same game, depending on what the team needs. She has the strength and ability to read the game to be a star in the Hornets back line, but her vision, range of passing, and ability to hold the ball under pressure also makes her vital to the Mansfield attack. As the lone starting outfield player returning from last year, Reiter will most likely find herself filling a number of roles again this season. Last season, Sykes completed a strong season with the Warriors despite being hampered by injuries and by opposing defenses regularly sending two, three, and sometimes more defenders at her every time she touched the ball. Thanks to her quick feet and low center of gravity, Sykes was able to wriggle away from defenders, open space, and find the right pass to a teammate. Her scoring numbers were down from her freshman season, but that was because Sykes was asked to play deeper, setting up attacks and being more of a defensive presence in midfield. Even with the new role, she managed to be among the league’s leading scorers. The Warriors are a lot healthier this season, so Sykes will have more help in the attack and could be poised for a big year. 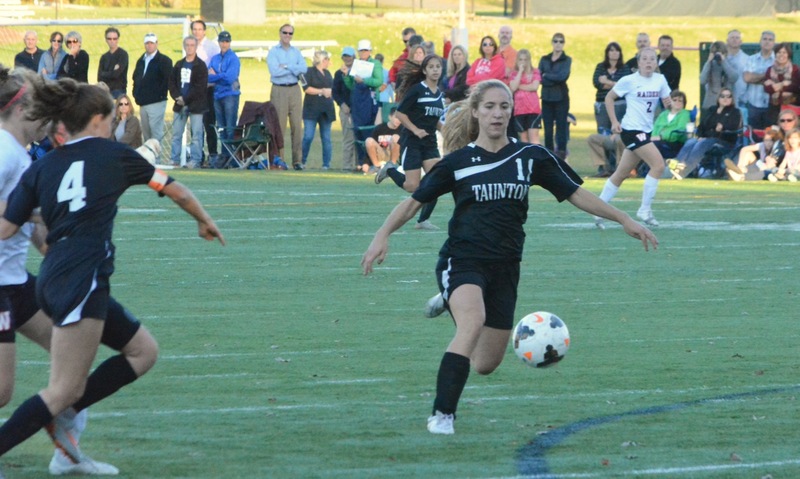 Taunton made history last season by picking up the program’s first playoff win and Tichelaar, who has been on the team since eighth grade, helped the cause with an energetic performance at Wellesley that showcased her talents. She finished with a pair of goals to lift the Tigers to a first round win. Boasting speed that few can match, Tichelaar is a dangerous attacker racing in off either wing and she demonstrated the ability to finish on the run. She is strong on the ball and hard to dispossess and also showed a willingness to track back and help out on the defensive side of the ball as well. With the loss of Alana Vincent up top, Tichelaar will be counted on to provide even more scoring punch from midfield this season if the Tigers are to replicate the success of 2015.